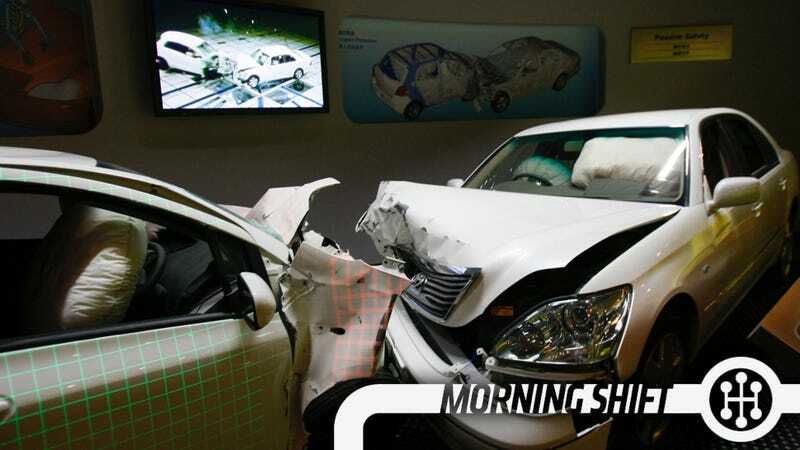 You may remember last year that the Japanese big-three (and BMW) had to recall 3.6 million cars because of faulty airbags built by Japanese airbag company Takata. Yeah, that's apparently not over yet. Now Honda, Nissan and Mazda are all looking to see if they have the problem, so keep your eyes open. Yeah, GM is fine, nothing more to see here. NHTSA says they'e stopping their fines over GM's inability to answer questions after, it seems, answering questions. The total fines come out to about $420,000, or roughly what Mark Reuss spends on rear tires every month. 3rd Gear: Would You Drive A Car Made Of Tomato Fibers? Ford's teaming up with Heinz to see if they can use parts of the common tomato to make parts for the common Ford. "We are exploring whether this food processing byproduct makes sense for an automotive application," said Ellen Lee, plastics research technical specialist for Ford. "Our goal is to develop a strong, lightweight material that meets our vehicle requirements, while at the same time reducing our overall environmental impact." Hey man, Henry Ford used soybeans. It sounds like we're building a delicious car here. From our buddy Karl Henkel comes this report that someone called Ducker Worldwide thinks that 70% of pickups could be aluminum-body by the year 2025. About 85 percent of all vehicle hoods will be made of aluminum by 2025, up from 1 in 3 in 2012, Ducker estimates. Almost half of all vehicle doors will be made of the lightweight material, an increase from the 6 percent in 2012. Nearly 1 in 3 vehicle roofs will be aluminum, up from 4 percent. Maserati used to sell, I don't know, 1.5 cars a day? Now they're selling at least three cars a day, which means they're going to have to boost production from 750 cars a day to 900 cars reports Bloomberg. Maserati will add two shifts every Saturday at the facility and reduce summer breaks to two weeks in August from the usual three, according to Vincenzo Aragona, an official with Italy's Fismic union. Fiat also plans to move about 350 workers from its main Mirafiori plant in Turin to the Maserati facility, he said. Fiat and union leaders are scheduled to meet this week to discuss the plan, according to the Fismic and Fim unions. This is mostly because of the Ghibli, although new products are coming. You think the workers are bummed this is happening during the world cup? For "Ferris Bueller's Day Off," the filmmakers used a modified MGB roadster with a fiberglass body as a stand-in for the Ferrari. The filmmakers reportedly received angry letters from car enthusiasts who believed that a real Ferrari had been damaged. Neutral: Were You Aware Of The Airbag Crisis? It hasn't gotten much play, but how aware are you in general of recalls?